Week 4 of the Weird series tackled a topic that many struggle with, reigning in our desires and controlling our behavior. Particularly in America, where we have so much available at our finger tips, what we crave can quickly become what consumes us. The dating couple who desire a sexual relationship but delay marriage, the single parent who desires the best for their children and relies on credit to obtain it, the addict who finally crosses that line and permanently alters another’s life in order to get their momentary fix, misplaced desire is a ticking time bomb. The goal of my drawing is to make the viewer uncomfortable. 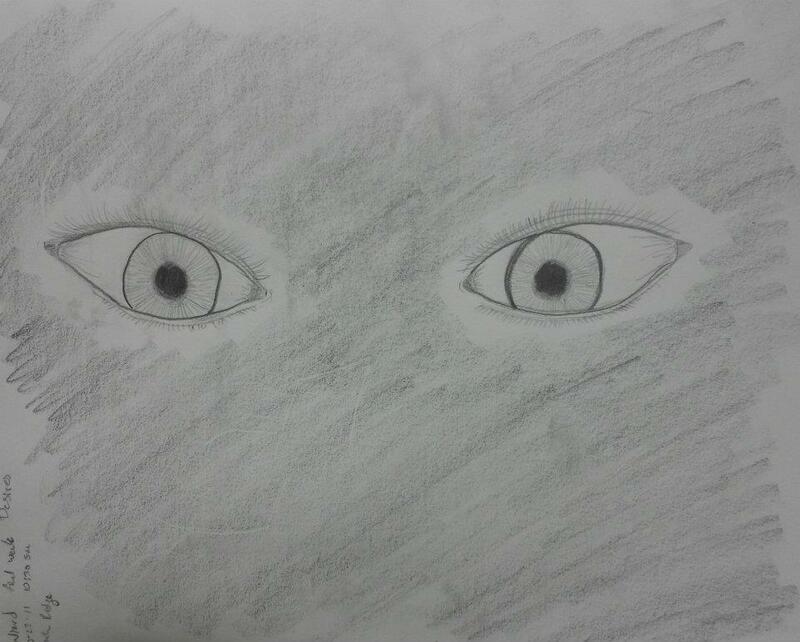 Two crazed eyes emerging from the shadows, fixated on you. As the viewer, you become the object of the image’s desire. Then something clicks in your mind, you are now in the shoes of whoever, or whatever you desire. My prayer is for that revelation to then morph into repentance, as you change your fixation from obtaining and hoarding to love and compassion and desiring the well-being of others over yourself. That is my hope as well, but even connecting with one makes this piece a success. Thank you for taking the time to absorb it!